In 2007 we located our headquarters in Napa Valley and began distributing winemaking ingredients and products around the country. Since that time we have earned the trust of our customers for delivering the best ingredients and supplies at competitive prices with outstanding customer service. In 2015 we doubled our footprint in Napa by annexing an adjacent warehouse. This increase in capacity means broader range of products. Whether your looking for products related to fermentation, cellaring, or finishing and bottling, BSG Wine can provide you with the options, service and select ingredients necessary to achieve the excellence you seek in your craft. Our current catalog features top-of-the-line fermentation, cellaring, bottling, and finishing products. Additionally, our knowledgeable and friendly sales and management staff comes from the winemaking community, so we can assist you in everything from fermentation to troubleshooting. With distribution centers strategically located across the United States we can get you the products you need quickly and efficiently. Whether your looking for products related to fermentation, cellaring, or bottling/finishing, BSG Wine can provide you with the options and service you need to make world class wines. Containing only water and tannins distilled from French Oak, these TTB approved additions offer an exciting option for the winemaker when finishing a wine for bottling. The various wood selections and methods of toasting (infrared, convection and fire) produce unique and very tasty choices for the winemaker. Free samples are available - in fact we don't want to sell you these without giving you a chance to play with a set of samples. Call or email for more information and samples. We are proud to partner with Vason Enologica, producer of highly effective tannins, enzymes, yeasts and more. Their technical support is unparalleled, as is their commitment to product quality and customer service. French Oak Liquid Tannins - amazing finishing tannins. Request your free set of samples to evaluate with your wine. Tinus from BSG introduces liquid tannins at Unified Wine and Grape Symposium. What’s New for 2019 Harvest? The response from last year’s trial ferments has been most positive. These affordably priced yeasts from Pinnacle (AB Mauri in Australia) are worth a good look this year. Let the dedicated technical support staff from BSG assist you in designing a fermentation plan tailored to your specific circumstances and marketplace goals. Pinnacle Cryo: Used for cold fermentations in white grape varietals such as Sauvignon Blanc, Chenin Blanc, Semillon and Chardonnay. Pinnacle Fructo: An excellent yeast to use in conjunction with high sugar grapes that lead to high potential alcohol yield. Pinnacle Red: A reliable and robust fermenter with very high alcohol tolerance and the potential to enhance color extraction. Pinnacle Red Select: A good fermenter with the ability to enhance color and mouthfeel in red wines through the extraction of phenolic compounds in grape juice. Pinnacle Robust: Used for neutral grape varieties when there is a need for the yeast to increase aroma and flavor production, as well as to reliably ferment difficult juices in extreme condition. Pinnacle Tropica: Used to increase tropical fruit aromas (guava, passion fruit, pineapple and lychee) in white wines. Pinnacle White Select: A reliable fermenter with the ability to enhance varietal character of the fruit while still producing fruity and floral aromas. Megazyme offers a complete wine laboratory straight out of the box – ideal for wineries that want to establish a comprehensive and high quality analytical capacity in-house. Even accounting for the investment in test equipment, in-house analysis with Megazyme generates savings by the 100th assay, for wineries of any size. Enologists often set up scheduled shipments in advance, so the kits just show up when needed. Let us streamline this process for you. Should you find yourself facing some smoke tainted grapes or juice or wine, we have some products that are showing positive results. ZIMAROM®: Available in 100 gram units. Liberating glucose bound aroma compounds ZIMAROM® is a beta-glycosidase enzyme which aids in the development of the grape varieties' full aromatic expression. FPS Carbon is a very useful vegetable based enological carbon. Its selective properties make it especially attracted to phenol based aromatic compounds in particular ethyl phenol and ethyl guaiacol thus making it useful for managing both smoke and Brettanomyces/Dekkera taints. For color removal, FPS is specific to unstable oxidizable pigments responsible for browning. In stuck ferments FPS can help remove some long chain (octanic and decanoic) fatty acids produced by yeast which can inhibit fermentation. After activation, it is granulated with a process that reduces the time required for rehydration, ensuring maximum efficacy of the product. The size of the granules are optimized to allow smooth absorption of water, without causing insoluble mass formation. Contact your Technical Sales Manager for assistance in designing a treatment plan for your smoke taint product. Don’t let “Smoke get in your eyes” and hope that the problem resolves itself! Bernard Pradel, owner and inventor at Toasted Oak LLC, pioneered and perfected the process of capturing the many unique and exquisite qualities of French Oak in wine. His liquid oak tannins have opened the door for many producers, both large and small, to elevate their wines with oak character previously only accessible with extensive aging and cooperage manipulation. Sample sets are available upon request. Unlock the complexities hidden in your wines with the 8 profiles listed below. Contact your regional sales rep for assistance. Hear what Tinus Els, Technical Sales Manager had to say at the Unified Wine & Grape Symposium. FRUIT ENHANCER FRESH adds a citrus and new French oak barrel character. This tannin is also useful for the polymerization of existing grape seed and oak barrel tannin, which can often take years to soften and integrate. With added proanthocyanidin from grape skins FRUIT ENHANCER PLUS increases the fruit flavor and aromas of the grapes, accenting the black berry fruit characteristics. This tannin is also useful for the polymerization of existing grape seed and oak barrel tannin, enhancing integration. FRUIT EXPRESS is composed of hydrolyzable ellagitannins from toasted French oak plus grape derived proanthocyanidin and catechinic tannins. The increased tannin content improves structure while enhancing the blue and red berry profile of the wine. MOCHA adds fire toast and aged character to both red and white wines, similar to the character of a heavy-toast French oak barrel with slightly smoky, chocolate-coffee tones. From toasted and untoasted French oak, VANILLA is rich in Cis and Trans Oak-lactone - a very dense concentration of vanillin, adding a very smooth, creamy texture to wine. The rates of use are much lower than other liquid oak profiles. The tannins in VANILLA PEACH are already polymerized. They add more softness rather than harshness from a typical tannin addition. This tannin contains an addition of pro-anthocyan from Grape skin and seeds with an extended maceration. It will increase the fruit flavor of the wine. TERROIR is used primarily to add structure and mouthfeel to white and red wines. Because the tannins in TERROIR are already polymerized, they add more softness rather than harshness from a typical tannin addition. It will increase the “earthy” tone of the wine. BARREL EXTRACT tannin is also useful for the polymerization of existing grape seed and oak barrel tannin, which can often take years to soften and integrate. It aids in color stabilization and reduces sulfur production resulting from oxidation of enthanethiol in combination with Thiols-polyphenols. As the CA harvest marches slowly to completion, many winemakers need emergency replenishment of their fermentation supplies. Are you going to run out of nutrients BEFORE you run out of grapes? Call us – we are still well stocked. The special strain is recommended as a restart for sluggish or stuck fermentations. It metabolizes fructose (often found in very high concentrations in a stuck fermentation), thus making it ideal for re-inoculation. It is an excellent choice as a second yeast in problematic fermentations, retaining the aromatics from the primary yeast while taking the wine to dryness. ML Fermentations, we recommend a direct addition product called AMAR 04. No reactivation or rehydration required, this freeze-dried culture is ready to use 15 minutes after removal from your freezer. It is recommended that the inoculation with Amar04 take place after or at the end of primary yeast fermentation prior to the removal of fine lees. Available in 60 G, 660 G and 2640 G packet sizes. Ships on ice overnight. FROM FIRE TO RAIN – WHAT’S NEXT? If you are facing botrytis and/or other compromised or damaged grapes, we have some suggestions. Useful in the treatment of wines made with botrytis affected grapes. By breaking down the glucans in wines made from botrytis infected grapes, MANNOZYM® improves clarification and filtration. Additionally, during ageing, MANNOZYM® exhibits a remarkable lysogenic action on the yeast cell walls that increases the presence of the cellular yeast constituents, especially mannoproteins during ageing on lees thus reducing the battonage and time required for autolysis. In sparkling wines mannoproteins can improve mouthfeel and mousse retention. Specifically blended by Enologica Vason for BSG Wine and the US market, this harvest tannin blend has excellent technical abilities with regards to oxidation prevention, color stabilization and deproteinization. Notably, this tannin contains NO QUEBRACHO which often requires removal by fining later in the winemaking process. Rather we have integrated premium grape skin derived tannins, providing enhanced functional attributes while contributing richness and body to the mouthfeel instead of bitterness. Great News! Welcome Lauren Schwartzburg to BSG. Please welcome Lauren Schwartzburg to the BSG family in the role of Technical Sales Manager for Wine. Lauren comes from a background in food technology, wine and beer production in the US and New Zealand with a master’s degree in Viticulture and Enology from UC Davis. Lauren takes the reins from Doug Manning and will be responsible for wine product sales in Napa, Central valley and Nevada. We are really happy and excited to have Lauren on board and bringing her vibrant energy to the team! CHECK OUT THE NEW YEASTS FROM AB MAURI! The Pinnacle range consists of specially-selected yeasts that produce high-quality wines - from traditional red and white varieties to rosé and champagne. Beyond product, AB Biotek and BSG can assist customers by understanding their specific needs and requirements before recommending an optimal yeast strain for the ultimate end-use product. Pinnacle Fructo: An excellent yeast to use in conjunction with high sugar grape juices that will lead to high potential alcohol yield. Pinnacle Fructo Select: A strong fermenter with a high capacity to add structure to high alcohol potential wines in the range of 16-18% (v/v). Pinnacle Red: A reliable and robust fermenter with very high alcohol tolerance and the potential to enhance color. Pinnacle Red Select: A good fermenter with the ability to enhance colour and mouthfeel in red wines through the extraction of phenolic compounds in the grape juice. Pinnacle Robust: Used for neutral grape varieties when there is a need for the yeast to increase aroma and flavor production, as well as to reliably ferment difficult juices in extreme conditions. Pinnacle Tropica: Used to increase tropical fruit aromas (guava, passion fruit, pineapple, and lychee) in white wines. Pinnacle White Select: A reliable fermenter with the ability to enhance varietal characters of the fruit while still producing fruity and floral aromas. CONTACT YOUR REGIONAL SALES REP FOR ASSISTANCE, OR CALL SADHANA BRENT IN NAPA CA. YAN (Yeast Assimilable Nitrogen) is a measure of how much usable Nitrogen yeast have as a nutrient source. Having enough usable Nitrogen is an important part of a healthy fermentation – too little YAN can result in sluggish or stuck fermentation and generation of H2S, while too much YAN can lead to the formation of ethyl carbamate. Nutrients made from yeast cells are high in nitrogen, but the form of the nitrogen is very important - no matter how high the product’s total nitrogen, yeast cells can ‘starve’ if it is not in a usable form. Not all nutrients are created equal! Even the richest of yeast products, while providing many benefits to yeasts, do not contain as much YAN as DAP, so if one complex blend is much higher in YAN than another, either the testing methods were inappropriate, or the one with the higher YAN is likely to contain more DAP. Ask your supplier! Superfood® provides the nutritious supplements yeasts need for growth and survival during the anaerobic stress of fermentation, in doses that are most advantageous. Superfood® contains a variety of nitrogen sources, and is much better for yeasts than plain DAP or other nutrient blends, which contain much more DAP (45% up to almost 100%). Startup™ was formulated to provide all of the complex nutrition in Superferm® and Superfood®, but without inorganic nitrogen (DAP). It is perfect for musts that do not need extra nitrogen, or when winemakers want to add all their own DAP. Superferm® has a higher percentage of minerals and vitamins and less DAP (only 25%), which is MUCHâless than many other blends. It is designed for fermentations that are expected to be challenging. For info on Nutrients and all the other essential harvest supplies, give us a call. Regardless of what bacteria you use, the addition of Leucofood® can make a huge difference. This blend was designed to help Oenococcus oeni to grow and survive, and is well worth investigating if you have some wines struggling through MLF. Give us a call to reserve your supply. Which YEAST should I use? What about NUTRIENTS? Check out our new yeasts. Are you dealing with problem grapes? We have some great yeast/enzyme/nutrient solutions. The demand for Superfood and Startup(also available in Export formulas) continues to climb, so get your orders in soon. Our Precision Enology products can make a big difference to your finished wines, as well as your bottom line. Sample sets are available upon request. Unlock the complexities hidden in your wines with the 8 profiles listed below. Contact your regional sales rep for assistance. Running a test in-house is, on average, 88% cheaper (per test) than sending it to an external laboratory. Our wine test kits produce a reaction in as little as 3 minutes, allowing you to respond to the results in real time - unlike the 2-3 day turnaround for results from a laboratory. With your own testing facility, you can test as frequently as needed, not just at crucial stages of production. This allows you to check samples within the same vintage as well as between batches. The Napa CA warehouse stocks the most popular kits. Enologists often set up scheduled shipments in advance, so the kits just show up when needed. Let us streamline this process for you. If you haven’t already, check out our range of Vason finishing tannins (Whiskey Lattone and Tostato have been particularly popular!) We also have a lot of interest in our Liquid Oak Tannin profile Fruit EXPRESS, so if your sample set is old or getting low give us a shout…AND… Yes! We have CMC, independently proven to be the best by a particularly astute bunch of Australian researchers…But don’t take their word for it. Come check it out for yourself!! 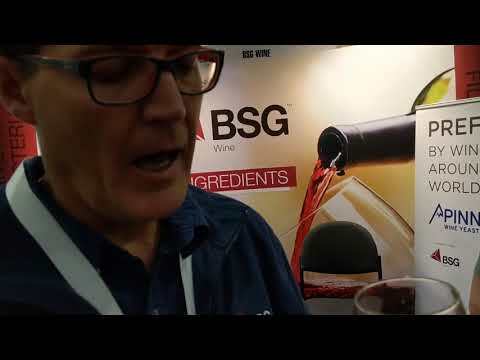 ST. LOUIS (January 23, 2018) - AB Biotek - a business division of AB Mauri created in March 2017 - BSG has formed a new agreement providing yeast for wine to the North America marketplace. BSG will begin distributing a new lineup of AB Biotek wine yeast under the Pinnacle brand. “While AB Biotek is a relatively new name in the wine industry, our AB Mauri parent division has been active in this marketplace for several decades,” said Greg Strauss, senior vice president, AB Biotek North America. The Pinnacle and Maurivin ranges consist of specially-selected yeasts that produce high-quality wines - from traditional red and white varieties to rosé and champagne. Beyond product, AB Biotek and BSG can assist customers by understanding their specific needs and requirements before recommending an optimal yeast strain for the ultimate end-use product. AB Biotek contributes to the success of customers through the delivery of superior technical service and fermentation expertise combined with quality yeast and technology solutions for the alcohol beverage, biofuel, and nutrition industries. AB Biotek has commercial scale yeast production capabilities in locations all around the world. Additionally, the AB Biotek North America region headquarters in St. Louis, Missouri, features a research and development laboratory that provides yeast and fermentation diagnostics. For more information about AB Biotek and its offerings, visit www.wine.abbiotek.com. Please stop by to say hello and check out our new product offerings - great time to be had by all! Did you catch the presentations at the WINE EXPO last week? PROTEOTEST kits and CMC are stocked in our Napa warehouse. Give us a call to order or to track down the right person with your questions. Contact your regional sales rep, or drop us a note in Napa. Only 10 days left! Let's come together in Santa Rosa. With just a 10 days left until the 2017 North Coast Wine Industry Expo, we have completed our preparations for the show. Please visit us at Booth # 301 on November 30th at the Sonoma County Fairgrounds. We hope to seeyou, with Thanksgiving for so much this year. Please use the promo code BSG301 to gain free trade show access. Superferm® has a higher percentage of minerals and vitamins and less DAP (only 25%), which is MUCH less than many other blends. It is designed for fermentations that are expected to be challenging. Check in with your technical sales rep for more information. It just, simply works. Our unique formula continues to out-perform competing blends in winery usage, and many customers return saying they tried the others and are coming back to what works. Startup contains all the good ingredients in Superfood, with NO DAP content. Use Startup for yeast rehydration AND for fermentation when the winemaker wants to control the speed by adding DAP separately, or when extra nitrogen is not needed. Exporting your wines to the EU and concerned about compliance? We removed the few vitamins that are not specifically EU-compliant from these formulas and offer them as Superfood EXPORT and Startup EXPORT. Combo® XT is a blend of yeast stains specifically selected to synergistically produce thiols and other volatile compounds. 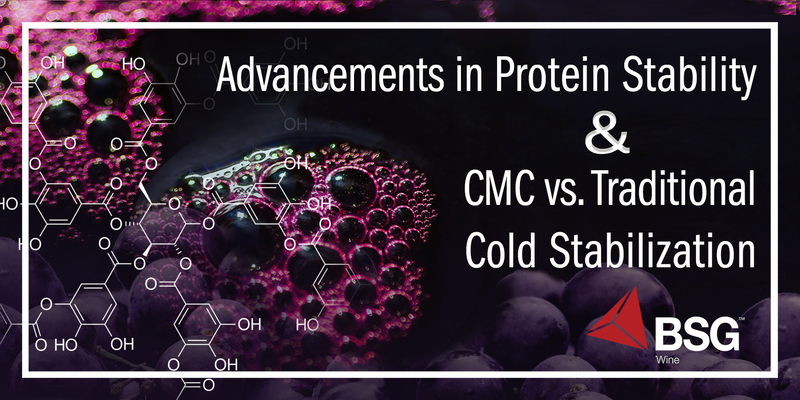 Combo® XT is able to ferment in difficult conditions, with tolerance to alcohol content up to 15.5% and to low temperature 13°C-30°C. Combo® Safefruit is a blend of Saccharomyces cerevisiae selected to enhance production of esters and other aromatic compounds in wine and thus enhance complexity. Combo® Safefruit is able to ferment in difficult conditions with a good tolerance to high alcohol content (17,0 %) and to low temperatures (14°C-30°C). · Premium Prosecco: Best yeast for sparkling wines. Good tolerance of alcohol, SO2 and overpressure. Enhances aromatics of white wines. It is gratifying to see current research in fermentation science illuminating why Superfood has worked so well since its development in 1986. Our unique formulas continue to out-perform competing blends in winery usage, and many customers return saying they tried the others and are coming back to what works. Combo® Safefruit is a blend of Saccharomyces cerevisiae selected to enhance production of esters and other aromatic compounds in wine and thus enhance complexity. Combo® Safefruit is able to ferment in difficult conditions with a good tolerance to high alcohol content (17,0 %) and to low temperatures (14°C-30°C). Are you making alcoholic beverages that are organic, "natural", sustainable (with indigenous or native yeast) and making GREEN choices? BSG OWN is an organic compliant yeast nutrient that contains no synthetic vitamins, ammonia or ammonium salts. OWN provides the nutrition required for a healthy and complete fermentation of grapes, fruit and substrates for distilling, while benefiting the planet and offering a healthier choice for the consumer. OWN is an organic compliant yeast autolysate, naturally rich in amino acids, naturally occurring essential B-family vitamins and minerals that support the clean, complete fermentation of your organic fruit or fermentable substrates. Talk to your BSG Sales Manager about using OWN in your fermetations! New Account Welcome Package: Become a BSG Customer! BSG WELCOME PACKAGE FOR NEW ACCOUNTS! To sweeten the deal, all new accounts opened between now and June 30 will receive a 15% discount on their first order. Take this opportunity to stock up for harvest. It’s still raining in Napa – how can we talk about harvest? A little over two months from now we will start hearing the steady drumbeat of the season of grapes. At BSG we have been sharpening our pencils and getting all our ducks in a row to offer you our best pricing for your larger harvest orders. It’s not too early to reach out to your regional sales rep for a competitive quote to secure the essentials for the coming harvest..
On behalf of Megazyme and Vinotec Napa we are pleased to announce the appointment of BSG Wine bsgwine.com as the new distributor for Megazyme wine products in the USA. This distribution change will allow Megazyme expand their range and scope of products in the USA, to meet the demands of their customers for gold standard, affordable, long-lasting, highly accurate and time-efficient enzymatic analysis in the alcoholic beverage and allied industries. Vinotec Napa (Napazyme) has been the US Megazyme distributor since 2009, and Director Lisa Van de Water has enjoyed working with all of you. This change will be effective March 31 2017. BSG will continue to stock the most popular kits in Napa, CA for pickup or immediate shipment. If you have been purchasing these kits through Vinotec Napa (Napazyme), your account information will be transferred to the BSG accounting system. For clients new to BSG, a completed account application will be requested. Pricing of each product will remain the same as on the Meagzyme website with possible quantity discounts available by quote. Shipping/handling and import fees will apply, but in many cases are likely to be lower. We all look forward to this new relationship! The focus is on fining and finishing wines. We stock all the tradition fining agents, plus some innovative products from Vason. Come to our joint session on Gum Arabic held at Lodi Wine Labs, for a detailed discussion of the various forms of gum Arabic, and a demo of the Dosaraban dosing system from Juclas USA. Its just 2 hours at noon on March 9, but those two hours could make a significant contribution to your bottom line in wine quality and ease of cellar applications. Give us call if you will be there – space is limited. Did I mention finishing those wines? Free sample sets of our very popular liquid oak tannins from Toasted Oak Company are available upon request. Before you put your final stamp of approval on a wine, you owe it to yourself to do a quick bench trial with these amazing tannins. These, as well as sample sets of Vason Powdered tannins and fining agents are also yours for the asking. PROTEOTEST RAPID evaluation of protein stability of wines – In enological conditions. The Proteotest utilizes the reaction between the protein in the wine and a phenolic based material to induce turbidity in the presence of unstable proteins. This innovative test revolutionizes the measurement of protein stability by indicating when stability is achieved without over estimating the bentonite requirement. The reactivity of the phenolic material is both strong and rapid resulting in a quick, accurate and reliable determination of protein stability. Kit contains 30 tubes, for 30 tests. Kit contains 30 tubes,　8 tests per tube (240 wine tests). See our full line of fining agents, from the old reliables to the truly innovative technologies. BSG Select Ingredients is very pleased to welcome the Megazyme Enzymatic Assay range and the MegaQuant™ Wave Spectrophotometer to its family of products! These quality critical assays and equipment are the gold standard in enzymatic analysis and have been very well received by the US winemaking industry. The full line of Megazyme products will be online and ready for shipment in late winter 2017. Please visit bsgwine.com and sign up for the BSG Wine newsletter to receive updates on the Megazyme line and other products. It’s a great chance to get some face time with the "voices on the phone". We will be showcasing our extended line of tannins, and introducing some new products. Take a look at our sample kits of liquid and powdered tannins, fining agents and products helpful in Cider production. Leave us your name and address information and we will be happy to send you samples. (We will not have very many kits with us at the show). We will also announce the addition of an exciting new line of products to our portfolio. Stay tuned! But most important – we look forward to seeing you there! From getting both MLF and primary fermentation complete in the new wines, to finishing and bottling, BSG has some pleasing prices on ML bacteria, Leucofood, Bactozyme (Lysozyme), Premium Fructo yeast as well as our liquid oak tannin extracts and filter pads. Premium Fructo yeast – 500 gram, 10 kg pack. Sacc. Bayanus metabolizes fructose. Very good results for restarting stuck fermentations. Filter pads – Filtrox Fibrafix 40x40 cm filter sheets, various grades. WHO IS THAT NEW FACE? Introducing Tinus Els for BSG Wine. Tinus Els grew up 100 miles south of Johannesburg in South Africa. He relocated in 1990 to Stellenbosch- Western Cape to attend Elsenburg Agricultural college where completed a diploma in Agriculture. It was there that he discovered vineyards and wineries and moved on to complete a Diploma in Viticulture and Oenology. Tinus graduated at the end of 1993 and started his career as young winemaker in Paarl for a small wine Estate, as well as gaining valuable experience in larger wineries in Stellenbosch and Robertson Valley. In 1999 he joined a UK based flying winemaking group and for the next 6 years did projects in France, Spain, Chile and South Africa. He moved back to Stellenbosch in 2005 to manage L’Avenir Wine Estate owned by Michel Laroche from Chablis that later became part of the Advini wine group. In August 2013 Tinus joined Vivelys USA as Technical Consultant. He worked with wineries in California on Grape Profiling , Fermentation , MOX and Ageing technologies. Please join us in welcoming Tinus to the BSG Sales Team. Contact your regional sales rep for samples, or drop us a note in Napa. Happy Thanksgiving! Lets Talk Turkey! As BSG Wine are getting ready to settle into our tryptophan induced hibernation, we would like to thank YOU for your custom over the years and a fantastic harvest in 2016! So as you put your little baby barrels to bed for a nap we have a few special treats for you. To help your malolactic fermentation go like clockwork check out our handy guide to problem malolactic fermentations (Dealing with MLF) and avail yourself of these promotional deals until the end of the year. 25% off list price on any MLB bacteria and Bactozym (Lysozyme)!! 1x FREE 100 gram Leucofood Malolactic nutrient with any MLB purchase. BUT WAIT THERES MORE…Adding tannin at barreling down is a great time to get your phenolic profile just right. Adding at this point during vinification can enhance softening and integration, promote deproteinization and color stability while protecting the wine from oxidation at racking. If your looking to give those red a little pre-slumber tannin top up, we suggest Premium UVA (Grape skin tannin) for extra body and mouthfeel or Vinaciollo (Ripe grape seed tannin) for extra structure. 10% off list price for Premium Uva and Vinacciolo tannins until the end of 2016!! BSG Wine are happy to *quietly, but not that quietly* announce we are adding a new member of staff to our star line up! It’s all under wraps for now but our new rockstar Technical Sales manager for Sonoma, Oregon, Washington and Idaho will start just in time for the 2017 trade show season and will moderate the BSG Sponsored presentation on Phenolics at the North Coast Wine Expo in Santa Rosa on December 1st!!! See below for free floor passes and 15% discount on Conference fees. Our super top secret moderator will lead into the "Unlocking Phenolic Secrets" seminar will kick off with a presentation by mythbuster Sabrina Lueck of Walla Walla Community College in Washington uncovering the origins and impact of both Condensed and Ellagic tannins in wine and presenting some specific chemical analysis on a range of tannins available to the winemaker. Following this engaging educational presentation, we will into delve an organoleptic exploration of these tannins in both wine and in neutral base to fully understand the nature of each. The seminar will close with an open forum discussion with our panel of winemakers experienced in the use of many types of tannins to enhance aroma, color, mouthfeel and phenolic profile in California wines. But your wines have PLENTY of tannin right!? Exactly! We are going to show you how you can optimize quality, retention and perception of those tannins in your wine by what may seem counterintuitive, adding specific tannins! The field of phenolic chemistry in wine is one of the most complex and exciting areas of winemaking and the full understanding of its intricacies are still being uncovered, this presentation aims to make it all a little less daunting, more fun and much more practical! Follow the link to sign up for this fun and educational exposé! In support of the presentation we will also be offering show attendees sample selections and show special rates on a selection of tannins including the new Terroir, Vanilla Peach and Barrel Extract lines of Toasted Oak tannins and selection of the Vason powdered tannins!! The "OMG I am running out of…" stage of harvest has arrived, and we are glad to be able to offer Saturday delivery to all CA addresses, at no additional charge. Rest a little easier with this. The inevitable slowing or sticking fermentations are responding very well to a re-inoculation with our Premium Fructo® yeast. This bayanus strain metabolizes fructose, making it an effective treatment for slowing or stuck fermentations. It retains the aromatic qualities of your primary yeast, while taking the wine to dryness. Use levels are 20-30 g/hL for high alcohol sequential fermentations, and 50-100 g/hL for stuck ferments. We have a special deal for those battling Lactobacillus or Pediococcus.This powerful lysozyme enzyme for controlling gram positive bacteria called Bactozym®is on super-sale for October/November. Your savings in time and finished product will add up quickly. Give us a call on this timely offer. It’s Time to just GET IT DONE! BSG is fully stocked to meet all your harvest needs. We have new yeast strains with exciting attributes, all the standard cellar supplies, enzymes and tannins, and of course our unmatched nutrient supplements designed to address a wide range of fermentation conditions. No time to read? Give your sales rep a call to get the best advice addressing your specific harvest circumstances. With 24 hour turn around on most orders, we are poised and ready to serve you. Or call Sadhana Brent in the Napa office for full customer service support. 800.585.5562 Ext 1. It is gratifying to see all the current research in fermentation science illuminating why Superfood has worked so well for so many winemakers all these years since its development in 1986. Our unique formulas continue to out-perform competing blends in winery usage, and many customers return saying they tried the others and are coming back to what works. WINEMAKER PERPLEXED AS BOTRYTIS DEVASTATES! We hope this doesn't happen, but as winemakers, sometimes ripening conditions mean the fruit we receive is not optimal and this year has been a year where disease pressure is high. So with incoming reports of higher than normal incidences of Botrytis, we thought a few reminders of dealing with Botrytis might come in handy. If you are seeing Botrytis compromised fruit, we have a few tools in aide of managing enzymatic oxidation, color stability and unwanted microbial infection. For our notes; click on the links below and see what we have to help you make the best out of a less than ideal situation. There are enzymes, and then there are Precision Designed enzymes from Vason. Zimared Plus: powdered pectic enzyme enhances the cell wall break down and extraction in red grapes. Extrared L: liquid combination of selected pectolytic enzymes and hemicellulose, cellulose and proteolyase supporting the extraction and stabilization of color compounds. Add to the cap several hours prior to pressing. BSG are recruiting two sales legends join our awesome team! We have one role based in NORCAL/PNW and the other on the East Coast! O You are the person from whom gurus seek answers. O Your positivity is so infectious, doctors gave you a Latin name. O You think Glengarry Glen Ross is a comedy. If you can say yes to any or all of these statements, you may be cut from the right cloth! We want to hear from you, at least you will be fun to interview!! Check out our new yeasts. Are you dealing with problem grapes? We have some great yeast/enzyme/nutrient solutions. The demand for Superfood and Startup (also available in Export formulas) continues to climb, so get your orders in soon. Our Precision Enology products can make a big difference to your finished wines, as well as your bottom line. CAN YOU HEAR THE ECHO OF GRAPE BINS OVER THE CLANG OF THE BOTTLING LINE? Until the end of July 2016 you can get a 10% discount off of list price on all Graver Technology filters. If you order a dozen of more filters we will ship them free to your winery within California. Depth filter pads from Filtrox (Fibrafix line) are also stock in Napa. Meet the team, check out the offerings in Cider production, brewing and distilling. Sign up for access and let’s get rolling! How to make your BOTTLE ROCK! Everyone offers you fining agents………..put a bit of this magic powder in your wine and your world changes for the better. Well…….maybe. ……and maybe not. Maybe you add some adjuvant early in the wine’s life only to find you need to remove it later in maturity. Precision Enology is the selection and engineering of fining agents that allow the winemaker to enhance the inherent quality of their wines. Fining agents that are appropriately hydrophilic or hydrophobic. Fining agents with a very high electric surface charge. Fining agents that are simply……..better. They work. We have had great feedback on all of these products. Request your free set of samples of fining agents to experience what they can do for you. Contact your Sales Managers and talk to them about how to use these to the best effect! If you haven’t already, check out our range of Vason finishing tannins (Whiskey Latone and Tostato have been particularly popular!) We also have a lot of interest in our Liquid Oak Tannin profile Fruit EXPRESS, so if your sample set is old or getting low give us a shout…AND finally… Yes! We have CMC, independently proven to be the best by a particularly astute bunch of Australian researchers…But don’t take their word for it. Come check it out for yourself!! PROTEOTEST - The winner of the prestigious 2007 Intervitis-Interfructa award for innovation in Stuttgart is now available in the USA. This test based on protein-phenolic interactions is the most accurate indicator of haze forming unstable protein available on the market, faster than the traditional industry standard heat test, only taking a few minutes to give a result. • NO heat alteration of the colloidal nature of the wine. • ONLY measures unstable colloidal material. Each kit contains test tubes, sufficient reagent and buffer to do 240 tests. The Grapes! Sooner than ever this year. The 2016 Resource Guides with new products and technical information are ready now. This helpful tool can be on your desk ONLY if you let us know your best postal mailing address. Please drop us a note or respond on the Send Me Info tab, but remember to provide your mailing (not courier) address. LIQUID OAK TANNINS CONTINUE TO AMAZE! VANILLA: From toasted and untoasted French oak, VANILLA is rich in Cis and Trans Oak-lactone - a very dense concentration of vanillin, adding a very smooth, creamy texture to wine. The rates of use are much lower than other liquid oak profiles. MOCHA adds fire toast and aged character to both red / wines, similar to that of a heavy-toast French oak barrel with slightly smoky, chocolate-coffee tones. FRUIT EXPRESS Composed of hydrolyzable ellagitannins from toasted French oak plus grape derived proanthocyanidin and catechinic tannins. The increased tannin content improves structure while enhancing the blue and red berry profile of the wine. For those of you who are quite familiar with the use of our liquid oak tannins please call and ask us about the special order BARREL EXTRACT. We would be happy to talk to you about this highly condensed extraordinary product. Boots on the ground, new products to introduce, BSG continues to expand. BSG is coming to you! Take a look at this map of our coverage and sales manager contacts, and give us a shout. With the gold standard of fermentation nutrients (Superfood) and a great selection of highly effective and inovative production products, we are eager to meet with you. On the long and winding road…stop in to say Hi at these shows. BSG is running wild this winter! Hope to see you at these shows. Each kit contains test tubes, sufficient reagent and buffer to do 80 tests. Very limited number of sample kits of 30 tests are available upon request. BSG expands – The best selection, less division. To meet the needs of growth and rapid diversification across the beverage categories we serve across all fifty states. BSG has stepped up and augmented our sales force to better represent our full compliment of products across divisional lines to you, regardless of what you are making! What that means to you is that you will have more local presence and support, a much more diverse product selection and we get to serve you better! Every member of our sales team comes with a raft of beverage experience and is ready to help you. So if you are looking to diversify from wine to distilling, cider or beer…or even if you are just looking for a better version of something you already have, you can rest assured we probably have you covered with the most complete selection of quality ingredients. Check out the links to our range of divisional catalogues at www.BSGCraft.comor ask your local rep below for one of our cool canned USB sticks with all of our information. Once you set up as a customer with us, you can access any of these awesome products. BSG Wine continues to serve winemaking operations with a carefully selected menu of membrane filters for finishing and bottling from Graver Technologies. Available in 30 inch length with code 7 & code 8 fittings. This special strain is best used as a restart for sluggish or stuck fermentations. It metabolizes fructose (often found in very high concentrations in a stuck fermentation), thus making it an effective yeast for re-inoculation. It is an excellent choice for a second yeast in problematic fermentations, retaining the aromatics from the primary yeast while taking the wine to dryness. It is not recommended as the primary yeast for must fermentation. Bactozym works on gram positive bacteria where the cell membrane is composed of glucosamine and muramic acid, the n-acetyl muramidase action intervenes breaking the glycoside bond between the acid of these two molecules, thus starting lysis of the cell and consequent bacterial inactivation. Bactozym SG is used to inhibit the growth of lactic acid bacteria such as Oenococcus, Lactobacillus and Pediococcus which can lead to sluggish or stuck ferments and elevated volatile acidity, however it is ineffective against acetic bacteria (gram negative). BSG Wine is offering Renaissance Non-H2S producing yeasts at an exceptionally low price. We have limited stock on some of these yeasts, all well within the use by date (end of 2016 and beyond) but they need to go to make space! VIVACE (A few 10 kg packs, and 500 gram packs) Use in Sparkling Wines, Ciders, High must weight red wines. Strong fermenter. Apologies to those who missed out on the 10kg formats, they flew out the door! We only have a few Vivace left! For those who missed out on the other variants we will sell case lots (20 x 500gm) at the 10kg pricing!! 10kg Vivace $249...that's outstanding value! Don’t let El Nino rain on your parade. With a number of pre bunch closure infection periods and extra detritus within the rachis from uneven flowering the precursors for botrytis are already established, and with all this El Nino talk, having a few tricks up your sleeve never hurts…Prior preparation prevents poor performance! Bactozyme- For management of gram positive bacteria (Oenococcus, pediococcus and lactobacillus). These bacteria are often prevalent in diseased fruit and implicated in stuck fermentations. This lysozyme decimates these populations giving your yeast the best chance at optimal performance. Mannozym - Breaks down glucans and reduces the viscosity in juice caused by botrytis, allowing improved settling and removal of solids when followed by Bentonite. Harvest Tannins - Provide sacrificial protection and help manage polyphenoloxidase activity. From the creator of the popular Liquid Oak finishing tannins we have Liquid Harvest Tannin. Ellagic tannins from fresh and seasoned French oak, a perfect protective sacrificial tannin with a smooth supple mouthfeel. It preserves color and covers most vegetative characteristics at a very competitive price with the convenience of liquid application. Introducing new for 2015 - V Tan SG. Specifically blended by Vason for BSG Wine, this complex tannin is a blend of ellagic (French oak), gallic (oak gall) and catechnic (grape skin) tannins designed to aid in color stability and prevention of oxidation. This blend contains NO quebracho compounds so provides maximum functionality but preserves optimum quality and mouthfeel. Flotation – Remove solids from your white juice PRONTO and increase yield! If you have not witnessed this miracle technology call us for a trial, but be quick, we don’t have many slots left. Our adjuncts are designed to enhance every aspect of the process, and are providing superior results. The risk of smoke taint to grapes and wine is well recognized and insidious, the danger being especially high between veraison and harvest. Whereas toasty oak aromas and flavors are often desirable, the acrid taste of ashtray and the accompanied smothering of any fruit aroma can potentially ruin a wine. BSG Wine has FPS carbon, which has been proven by independent studies to be more effective than other agents at removing the volatile phenols implicated in smoke taint. BSG Wine dearly hopes that everyone stays vigilant and safe, and if you do need help dealing with the insidious problem of smoke taint, please give us a call. Raise a glass in greeting to Scott Anker. Living and working the Central Coast area of CA, Scott will represent our expanding line of products. Scott brings considerable wine production experience and local knowledge to the position, and will well serve the interests and needs of the winemaking community in the region. To our old friends and the new ones we have yet to meet, we extend our commitment to excellent service and quality products. It is almost upon us! Our new catalog contains more of the helpful information you have come to rely on from BSG. Get your copy now. AND....ask us about FLOTATION EQUIPMENT AND INGREDIENTS, and THERMOVINIFICATION. We have some exciting news on these processing techniques. Contact us for quotes and special harvest pricing on bulk harvest needs. The lease is signed and we have just DOUBLED our foot print and we are going to fill all of that valuable real estate with some very juicy new winemaking treats. Don’t worry, we are still in the same place, we have expanded right next door! Whilst we have been out wearing down our shoes (and voices) a couple of very sweet deals have presented themselves to us. Without saying too much, think more people power and an even better, well rounded winemaking supply business adding not one, but TWO international technology powerhouses to our family. OK. Enough bragging…You probably have a lot of bottling to do! If you haven’t already, check out our range of Vason finishing tannins (Whiskey Latone and Tostato have been particularly popular!) We also have a new Liquid Oak Tannin profile Fruit EXPRESS, so if your sample set is old or getting low give us a shout…AND finally… Yes! We have CMC, independently proven to be the best by a particularly astute bunch of Australian researchers…But don’t take their word for it. Come check it out for yourself!! All together now… "Don’t fence me in…"
WHY IMPORT TANNINS IN LIQUID FORM FROM FRANCE? WOULD YOU DRINK A POWDERED BORDEAUX? It’s simple, when you ask for a coffee would you prefer a fresh espresso or an instant coffee? Espresso all the way, right?! Because it’s BETTER! OK - so we are talking about tannins here, not coffee. When you drive the water from your tannins (or coffee), there is an unavoidable loss of the subtle fullness of flavor. Liquid Oak Tannins are carefully crafted to preserve the unique richness of premium French Oak, and blended to enhance the myriad flavors of great wine. A simple bench test will reveal the value of your selection. Drop us a note for a free set of samples and discover this for yourself. We understand that some folks might not get this, and that’s OK. There’s plenty of instant coffee to go around, but we will be sipping on the good stuff. Call　800-585-5562　for your free sample. BERNARD PRADEL OF TOASTED OAK HAS DONE IT AGAIN! A new exciting profile from Toasted Oak/BSG Wine. Fruit EXPRESS is gallotannin composed of hydrolysable ellagitannins from toasted French Oak plus proanthocyanidin from grape skins and seeds from an extended maceration. Fruit EXPRESS is awesome and will knock your socks off! It enhances the blue/red grape berry like character and gives a bit more tannin structure to the mouthfeel. Come by Booth 402 at the Unified Wine & Grape Symposium in Sacramento to check out Fruit EXPRESS and pick up a set of samples of all 5 profiles. May gold medals find their way to your wines. May the rains continue (for the drought stricken west coast). And may all of you enjoy a gentle and happy holiday time. BSG will be closed Thursday & Friday this week for Christmas, as well as Thursday & Friday next week for New Years. The very popular liquid French Oak tannins produced by Toasted Oak have an exciting new profile available. FRUIT EXPRESS is composed of hydrolysable elagitannins from French Oak plus proanthocyanidin from grape skins and seeds. This product enhances the wine berry-like aromas and provides a well integrated palate structure while enhancing color stabilization. Samples are available upon request, along with our orignal profiles (Mocha, Vanilla, Fruit Enhancer Fresh and Fruit Enhancer Plus). Watch those wines! We are hearing about stuck ferments with rising VA.
We are receiving a heavier than normal demand for Bactozyme (lysozyme). Now is the time to get those sluggish fermentations checked for Lactobacillusand get treatment started with Bactozyme. We have a great restart yeast called Premium Zinfandel, and a good supply of yeast hulls to take care of getting those reluctant tanks to go dry. And if you just need a strong kick to get MLF complete, avail yourself of our WIN sale prices of Amar04 bacteria from Vason. This is a vigorous ML bacteria, at prices too good to pass up. As always, feed your bacteria with Leucofood for best results. End-Of-Harvest fatigue? Not with these vigorous ML bacteria! Produced for enologica VASON by the world's leading manufacturer of freeze dried ML bacteria. This direct addition preparation is alcohol tolerant up to 16% and comfortable with pH as low as 3.2. It is packed in sizes to treat 66 gallons, 660 gallons and 2,640 gallons. Mention WIN when you call for significant price discounts, as well as attractive quantity purchase rates. Leucofood™ The great ML fermentation enabler. This rich mixture of primary-grown yeast extract, casein digests, vitamins and minerals help ML bacteria grow and survive. Helpful for ANY bacterial strain in ANY situation, Leucofood can be essential when fermenting with yeast strains that hoard nutrients or have high nutrient requirements, depleting grape nutrients more thoroughly. Unlike yeasts, ML bacteria cannot store nutrients, and they cannot synthesize all the amino acids they need so they must find them in the wine. Nutrient depletion is frequently the cause when MLF begins but does not finish. Blended especially for Oenococcus oeni,Leucofood is NOT the same as yeast nutrients. Leucofood has no DAP because ML bacteria cannot use inorganic nitrogen. Lysozyme controls the growth of gram positive bacteria, halting the production of the unpleasant sensory and fermentation consequences of Lactobacillus and Pediococcus. Available in 100 gram and 500 gram pack sizes. The Last Hurrah from the Vineyards. Advanced sugar ripeness, lagging physiological ripeness, YAN's that are rock bottom...Sound familiar? These conditions have characterized harvest 2014 and are even more prevalent in late hanging fruit. In light of these challenges BSG has all the goodies you need to ease you through to the end. Superferm: Less DAP than superfood, more complex nutrients and vitamins. Vitamix: Strictly vitamins where you are already using a complex blend such as Superfood. AMAR04 Malolactic Bacteria: Specifically designed for low pH, High alcohol, low nutrient conditions (Think AMARONE). Fermentation tannins: Dial in your phenolic structure, fill the mid palate and soften vegetal characteristics. Enzymatic extraction: Fractionated enzyme protocol ensures absolute extraction of desired anthocyanins and tannins. Re-inoculating stuck ferments: A detailed discussion and instruction on how to restart a slow or stuck fermentation. Call us for assistance. High alcohol? More difficult challenges? We recommend Vason Amar04, direct addition, tolerant to 16% alcohol and pH down to 3.2. This strain produces a fast fermentation with very low acetic acid production, and excellent organoleptic qualities in finished wine. Available in 60 gallon, 600 gallon and 2640 gallon pack sizes. NOT fighting the high alcohol problem? Consider Kerry Oeno, the most cost effective product on the market. Kerry Oeno, highly concentrated frozen culture of Oenococcus oeni. Requiring a buildup stage, Oeno moves quickly to completion, and tolerates up to 14% alcohol. Cost effective: one container will inoculate 3,000 to 5,000 gallons of red wine, and 500 to 1,500 gallons white wine. Significant quantity discounts (as low as $41 per container). "You get more bang for your buck, and it works well." Well established Mendocino County winery. The balancing act. Finding the enzymes that fit YOUR specific fermentation conditions. We are getting great success with these two enzymes from Vason in Italy. Add Zimafruit to your macerated white grapes in the press for exceptional extraction of aromatic compounds. Follow this with a juice clarification pectolytic enzyme. Vason Zimaclar pH3 has been designed to deliver maximum clarification at the low pH levels of grape must. Many enzyme products are most effective at higher pH levels (pH 4-5), with reduced effectiveness at the lower pH of grape must. Another growing star in the BSG portfolio is a yeast called Premium Chardonnay. Users have reported that their unique vineyard characteristics are preserved (rather than being clobbered) with a resulting freshness to the final product. Limited stock is still available, so get your name on some while supplies last. What's shakin' in Napa? Not BSG. Pallets stacked 4 high on racks, and sitting almost on top of the epicenter, and our damages were limited to a broken wine glass and a picture that fell down. Earthquakes must be fickle. All your harvest supplies are here and available for immediate shipment. The big sellers are Superfood, Superferm and Startup. All excellent nutrient blends designed to address your unique fermentation requirements. We are well stocked in all products and ship orders within 24 hours of receipt, often same day. Give us a call. Full technical support is available for all our products, and sales staff are on call 24-7. Introducing JUCLAS equipment and VASON Adjuvants for flotation, a perfect synergy. Since the inception of flotation in wine, the teams at VASON and JUCLAS have been developing a unique synergy of equipment and adjuvants to achieve optimal juice flotation. The culmination of many years of research and experience JUCLAS/VASON technology is internationally regarded as a market leader. What can flotation achieve for you? Save time – Turn over your tanks in a fraction of the time required for settling. Save energy – NO refrigeration requirement. The ability to treat juice either reductively or oxidatively depending on intended style. Ability to fine at the juice stage result in less fining post fermentation. Ability to separate juice from solids quickly reducing the effects of Laccase or smoke taint. Increase production efficiencies: Clearing settling tanks faster means your presses can be working more efficiently and your juice fermenting sooner. This technology has something for almost everyone, with equipment sized to suit small producers to large facilities.The easy to use, plug and play equipment and specifically designed adjuvants can save you money. Please contact your BSG Wine Division representative if you would like to know more about this exciting technology. Use for intense fruity white varietals (Riesling, Sauvignon blanc) where you want the profile of the fruit with a thiol-containing aroma matrix. Cold ferments. Enhance the fresh fruit characteristics of the specific vineyard. Has excellent resistance to alcohol, cold temperatures and sulfur dioxide. Capture the fragrant aromas and cherry berry qualities of red grapes. Excellent for co-inoculation or sequential inoculation with Premium Zinfandel. Big Reds. A rapid fermenter, Premium Zinfandel will dominate your fermentation and can be used as a sequential inoculum after VP5. "Nutrition and Technology in the Management of High Risk Fermentation - Putting it all Together"
Lisa Van de Water will discuss the elevated nutrient requirements of high risk winegrape fermentation. A panel discussion on the use and value of different nutrients and technologies available will follow. Free seminar, lively discussion, coffee and treats. What could be better? Yeah - we've got that too. FINING AGENTS. All of them. From people who know how to use them, in pack sizes that work for most programs, at prices you will like. Full list of Product Data Sheets are posted under Help & Support, MSDS/Tech Info Sheets. WHY IMPORT TANNINS IN LIQUID FORM FROM FRANCE? POWDERED BORDEAUX ANYONE? It’s simple, when you ask for a coffee would you prefer a fresh espresso or a “freeze dried” instant coffee? Espresso all the way, right?! Because it’s just BETTER! Call 800-585-5562 for your free sample. How to feed your ORGANIC fermentations. The addition of any nitrogen based nutrients to organic fermentations is prohibited. In response, BSG Wine and a major US yeast company, with consultation from Lisa Van de Water and multiple testing laboratories, have spent over 18 months developing an organic wine yeast nutrient. BSG OWN™ is compliant with USDA/NOP regulations for organic winemaking and has been reviewed and accepted by the CCOF. Vivace - strong even fermenter, releasing the fresh fruit character from your vineyard. Andante - for red wines, Andante produces an intense fruit oberture followed by a mild spiciness and a smooth tannin finish. OWN™ (Organic Wine Nutrient) is a USDA/NOP compliant nutrient blend offering a balanced nutritive base for your fermentations. Finally, a fine finish for your fabulous wines. Prepare to be surprised by the delightful effect of Liquid French Oak finishing tannins from Toasted Oak and powdered tannins from Enologica Vason. These products offer some very unique flavor profiles. Free samples of both products are available upon request. Hydrogen sulfide prevention in the fermentor, certified Organic, available in 3 strains. Organic Wine Nutrient, approved for use in Organic fermentations. Samples available for trials. Contact us for furhter assistance. Make a big difference in your Organic Wine production. Check out these products. Vivace:A rapid, clean fermenter that works well under less than optimal conditions, Vivace preserves fresh fruit character. It is also an active competitor against other yeasts. Allegro:Designed to bring forth fresh fruit character with soft mouth feel characteristics. Allegro is exceptional at focusing the fruit either alone or as part of a blend, and is an excellent choice for Chardonnay or Sauvignon Blanc. Andante:Ideal for red wines, the yeast produces an intense fruit overture followed by a mild spiciness and a smooth tannin finish. It imparts good mid-palate fullness with color and flavor stability. The strain ferments at a moderate tempo and performs well in medium nitrogen musts. And to feed these lovely yeasts, use OWN™ (Organic Wine Nutrient).Available in 1 kg, 5 kg and 20 kg sizes, OWN™ will add a balanced nutritive foundation for your fermentations. While not a new product - this is still the most effective nutrient blend. Imitation can be considered flattery, but in this case it does not serve the winemaker. Superfood® continues to provide the best balance between nitrogen and a complete range of complex nutritive compounds. Or, for those who want to fine tune their DAP additions, Startup® provides all the goodies of Superfood without any DAP. BSG provides the best in-depth technical assistance on yeast nutrition, including direct access to the developer of the products. If I had a dollar for every customer who calls in saying that they tried the others, and now they want to get what they know will do the job, I would be very wealthy! Contact Doug Manning dmanning@bsgwine.com or Ryu Yamamoto ryamamoto@bsgwine.com for more information. Harvest bids are welcome, with bulk pricing available on most fermentation products. Check out these oak stave and chips. The profile ranges are exquisite. Request your free samples to experience the possibilities for your wines. Full range of profiles for all wine types. Request your free set of samples.